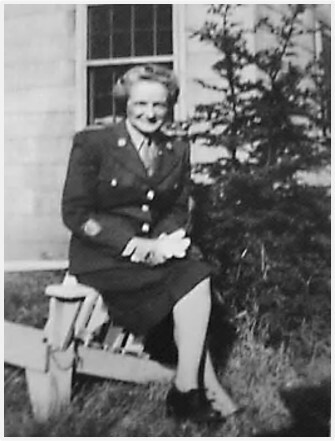 Previous PostA Short Biography of Marian SolomonNext PostWhat is the Women’s Army Corps (WAC)? The walls of this house would definitely have some interesting stories. This old Solomon farm has gone through a lot of changes across the years–and that’s almost a story of it’s own. One of the things on my “to do” list is to research the farm history a little more so that I can share it with you. I really like old family photos. Love the photo Sheryl. How sad that 2 of the 11 children died young. I guess it wasn’t uncommon for that to happen back in the day though. Wow 11 kids, that mom should get a Purple Heart! It was a large family. Every time I look at the photo, I’m surprised how small and fragile the mother looks. It’s hard to imagine her having had 11 children. That’s a large family even by standards back then! 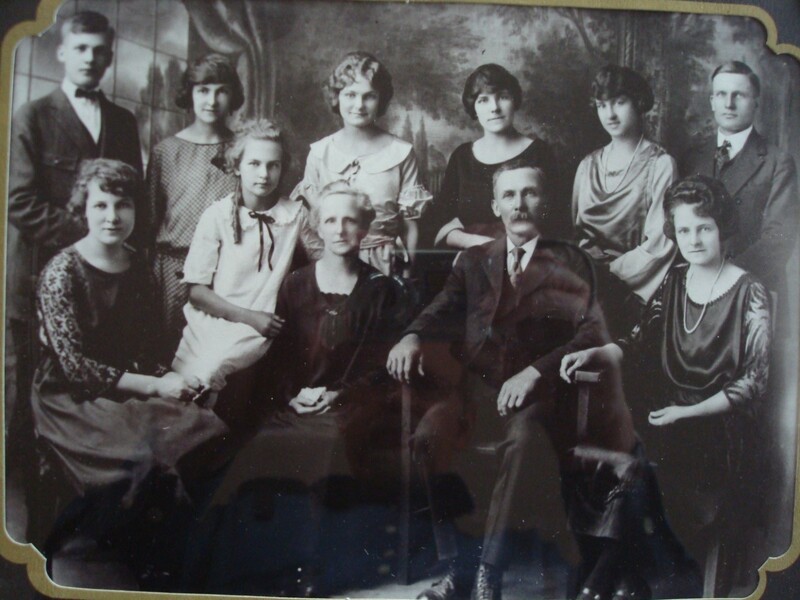 What a lot of women in the family – lucky them. It definitely was a female dominated family. Most of the stories that I’ve heard all my life are about the women, who they were, and their relationships with one another. I absolutely love telling family stories. I really like social history, and think that it’s so important to tell the stories of ordinary people–and I find it especially interesting when those people happen to be my relatives. I am looking forward to reading up on Marion. I have been in touch with Marian Mc. I will email you later….she is looking forward to helping you finding more information. Yeah! It’s wonderful to know that she’s interested in helping. I appreciate all of your support and assistance. my pleasure and my honor! Beautiful house! Had to be big to house all those kids. 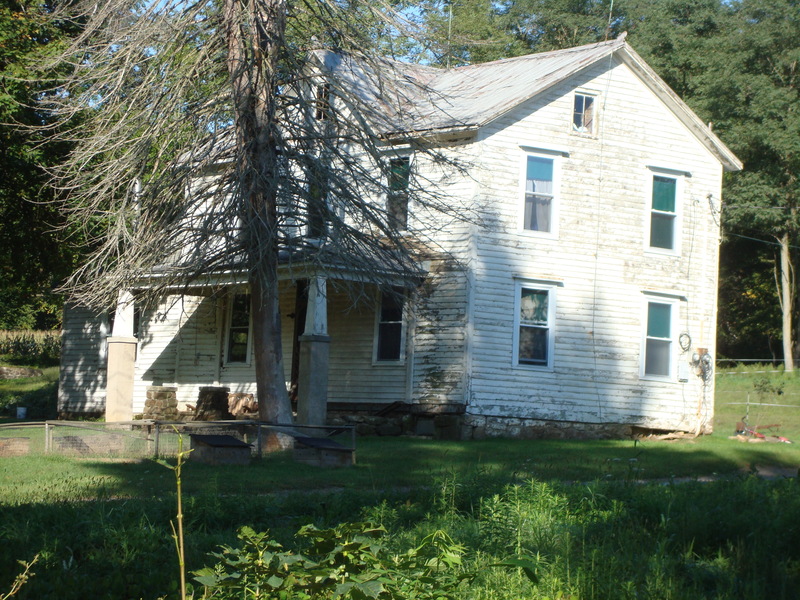 I remember my grandmothers house which had 3 large bedrooms and a sleeping porch. I have no idea where they put 8 children! I learned something new. I hadn’t realized that Philadelphia was one of the hardest hit cities. Thank you for sharing the link. I really enjoyed reading the post and the video you shared was wonderful (in a sad way). It’s hard to imagine what it must have been like with so many healthy young adults getting sick and dying in such a short time period. Great to be learning about Marian. It’s nice to hear that you’re looking forward to learning about her. It’s wonderful to have you onboard. I love these old photos–the family one is so wonderful. It’s fun to see their clothes and the family resemblances. It’s amazing how much you can learn about a family and the individual members from looking at a photo. Mama may look fragile, but those women were tough. And, children grew up much faster. There was none of this silly business about “stay on your parents insurance until 26 years of age.” Children helped take care of their younger siblings. When my mother’s mother died when Mom was sixteen, she raised the rest of her sisters. I think the youngest would have been ten. All of that took place during the Depression, and they were dirt poor, too. But they survived. You’re right–women were strong back then. They often had very large families and needed to organize their households so that they operated smoothly. Both then and now, it’s sad when a parent dies relatively young. It had to have been difficult for your mother, but it sounds that she did what she needed to do, and raised her sisters well. Families were so much bigger back then. Interesting! It’s amazing how much larger families were a century ago than what they are now. Times sure have changed. I have enjoyed this though went through it backwards. I see they also lost a daughter to flu and yes Pa was very hard it. It has only been in the last couple of decades that they figured out why so many young healthy adults died, Their immune systems went into super drive and began rejecting vital things. I’m glad that you enjoyed these posts enough to go through all of them. I’m enjoying your thoughtful comments.